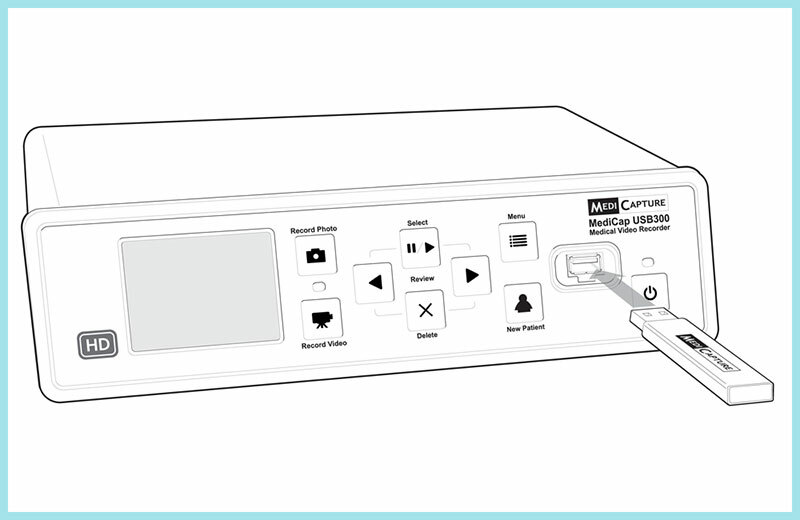 Medical video recorder and where to plug in the USB on the front. 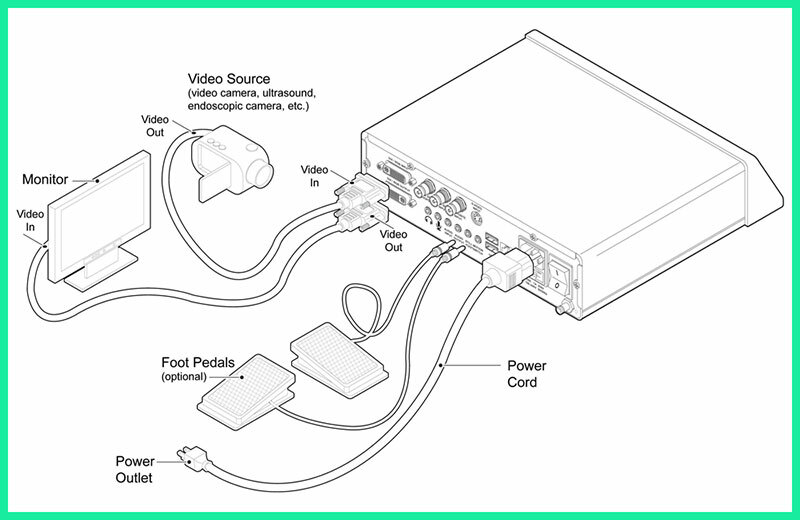 A technical line drawing illustration showing the connections to a medical device recorder including monitor, video and foot controls. Client: Medicapture: A series of illustrations of the medical device recorder including line drawings for a user manual and detail drawings showing the components.